Sunsets are a favorite subject for photographers all over the world. Every scene of a sun setting is different, yet all of them equally as beautiful as the other. If you are a photographer and are looking for awesome shooting locations of the sun retiring for the night, then the following five best sunset views in Melbourne are sure to help you make a decision as to where to get your perfect shots. 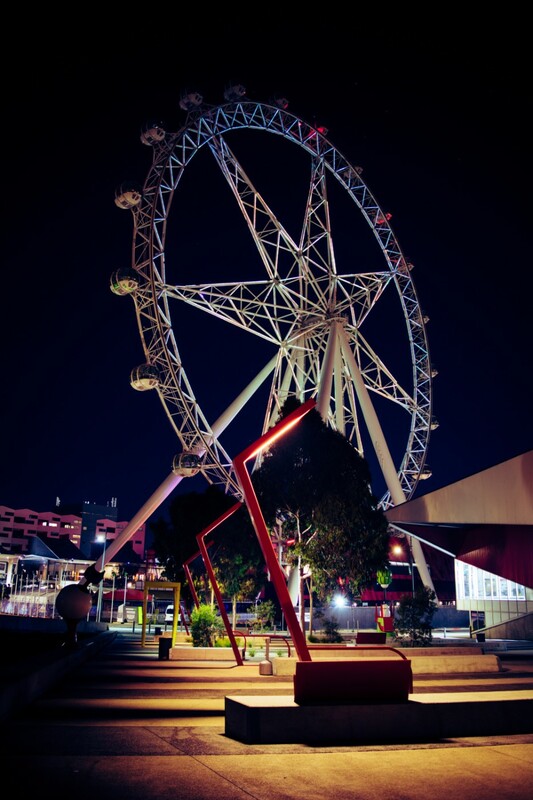 Known previously as the Southern Star, the Melbourne Star is a colossal ferris wheel situated in the Docklands in Melbourne. At 120 meters high, the ferris wheel towers over the city’s shopping district. The Melbourne Star, with its seven spokes and 21 air-conditioned cabins, is the only giant observation wheel in the Southern Hemisphere and offers a spectacular 360-degree view of Melbourne, the Dandenong Ranges, Port Phillip Bay,Arthur’s Seat and Mount Macedon. Get here before sundown and you are guaranteed to experience a spectacular sunset with unobstructed views. Each rotation takes about 30 minutes and audio commentary is provided. The Boatbuilders Yard, a casual bar and café situated just behind Jeff’s Shed, is nestled in the historic maritime district of Melbourne and is a great place to see the last few rays of sunshine reflected in the Yarra River. “Boaties,”as this award-winning established is fondly referred to by the locals, is owned by Richie Lubrock and Dave Sharry and incorporates a modern design inside the original, historical shed building. Open every day, The Boatbuilders Yard is the place to head for to take some amazing photographs of a stunning sunset. 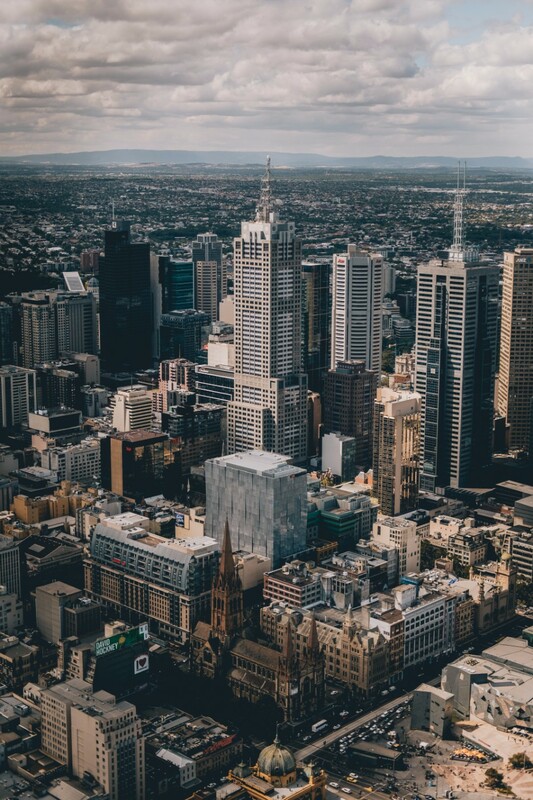 Eureka Tower, at 297 meters high and housing 556 apartments, was at one time the highest residential structure in the world. Fortunately, non-residents are also able to enjoy the spectacular views at the Skydeck, situated on the 88th floor of the building. The Skydeck is the highest observation deck in the entire Southern Hemisphere and offers sunset scenes that are unmatched anywhere in the world. “The Edge,” a three-metre cube made of glass, is the perfect place for adrenalin junkies to get a bird’s eye view of Southbank, 300 metres below. You would be hard pressed to find a better location than Ponyfish Island to get exquisite shots of a sunset at water level. This floating restaurant and bar, accessible by a single stairwell, is situated under the Yarra pedestrian bridge and offers stunning views of Rialto Towers, Flinders Street station, Crown and Southbank. However, no matter which direction you are facing, it’s the golden tones and blush pinks of the sunset that will take your breath away, especially while enjoying a glass of bubbly! 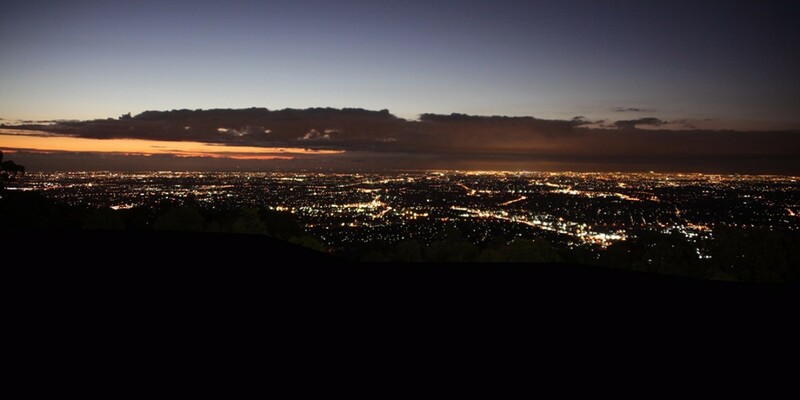 Mount Dandenong’s SkyHigh, open 365 days a year, is situated just 45 minutes from Melbourne and offers breath-taking views of the eastern suburbs, the Mornington Peninsula, the You Tangs, Port Phillip Bay, as well as the city’s glistening skyline. Dining at the restaurant, visiting The Wishing Tree and Percy Possum’s House and strolling around the hedge maze are favorites of most people visiting SkyHigh. 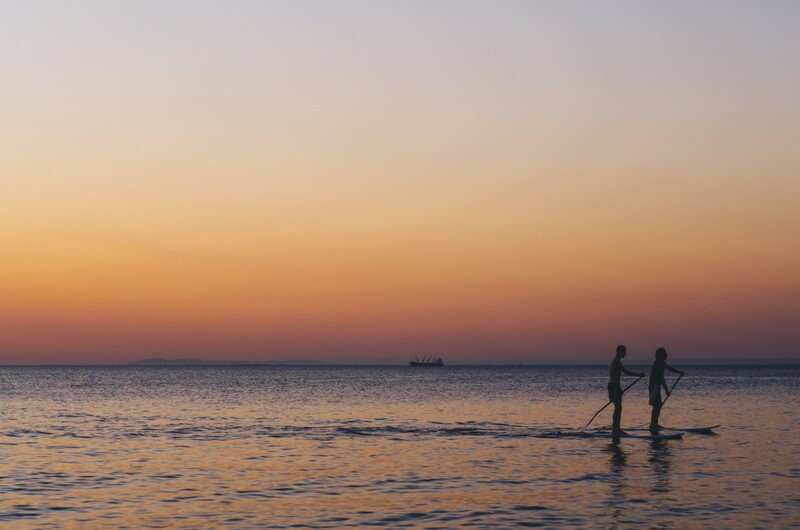 Many people also visit SkyHigh simply to witness the breath-taking sunsets that can be viewed all through the year. There is no doubt at all that photographers from all over the world, will find that the above five places offer the best and most magnificent sunset views in Melbourne.